Lightning has never changed, but the structures and systems exposed to it have changed dramatically. We are increasingly reliant upon sensitive electronics to perform critical functions for commerce and government. These systems are inherently susceptible to lightning damage and upset. Airworthiness authorities require that aircraft be protected and certified against the effects of lightning, but few such regulations exist for sensitive facilities on the ground. If it is possible to protect an aircraft that is highly dependent on electronics from a direct lightning strike, it is certainly possible to protect important ground-based facilities. For this purpose, professionals must re-evaluate and update lightning protection methods for advanced facilities. NTS and Lightning Technologies have been in the forefront of this technology for more than 20 years. Lightning can damage your facility in two ways. Larger properties can become target for direct strikes, which exposes them to temperatures in excess of 20,000°C and currents of 250,000 amperes or more. Even when you are not directly affected, however, the potential for damage to your critical electronic and electrical components remains. Lightening strikes lead to earth voltage rises that can damage systems within a one kilometer radius. 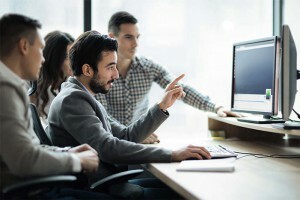 The only way to be sure you’re protected against these direct and indirect effects is to perform proactive testing and implement lightning protection into the design of your facilities. Because they are based on the fundamental laws of physics, proven techniques such as air terminals (lightning rods), grounding, bonding, shielding, surge protection and circuit design can — when properly specified, designed and installed — provide very good protection. Unfortunately, most present codes and standards were written to protect traditional structures and robust electrical equipment. These techniques are not always effective in protecting electronics. Too often, designers have relied on the installation of surge protectors and lightning terminals, with little attention to other techniques. For this reason, many lightning protection designs based upon traditional guidelines have proven insufficient. As in an aircraft, a comprehensive plan, which accounts for and protects all sensitive systems from all direct and indirect lightning effects, is the only way to provide a high level of protection confidence. There are many devices being marketed that claim to offer significant improvements in lightning protection over traditional air terminals and grounding systems. 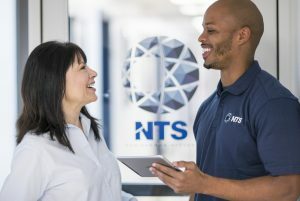 NTS and Lightning Technologies have not found it necessary or cost-effective to use these unproven, sometimes controversial and often expensive proprietary devices. 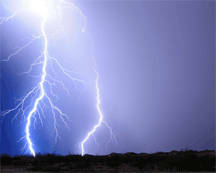 Lightning cannot be eliminated, but with sound engineering and a thorough understanding of the physics of lightning, systems and structures not only can survive, but can continue to function after a severe lightning strike. The successful work done in the protection of advanced aircraft and facilities by Lightning Technologies, together with other organizations, testifies to that claim. Providing lightning protection system design and testing has been a cornerstone of our business since 1961. Our services include certification and consulting, and developing comprehensive plans that are engineered from the ground up to deliver the best lightning protection possible. We’re available to provide on-site assistance around the country. To discuss your specific needs with one of our team members, contact us today by email or phone.